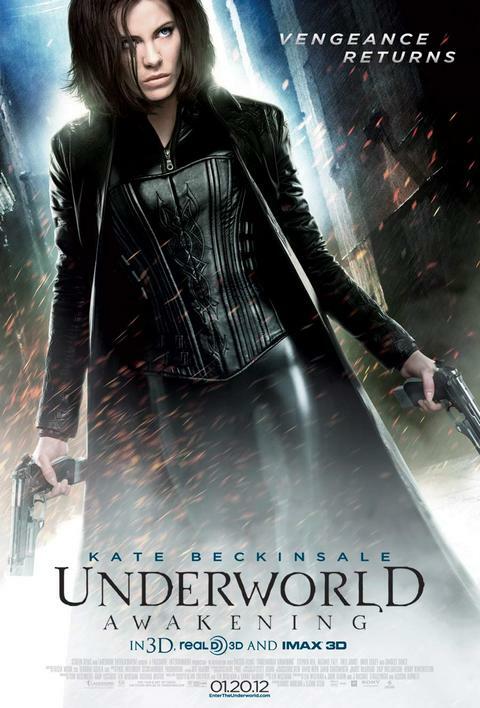 Sooner or later, we’re going to run out of unique poses Kate Beckinsale can strike for the purpose of an Underworld poster. She dons the tight black leather, puts a gun in each hand, glares toward the lens and sells thousands of tickets. Shortly after the trailer dropped, Screen Gems reveals a teaser poster with the tagline “Vengeance Returns.” We have it below. Click here for a hi-res version. The fourth Underworld, co-directed by Mans Marlind and Bjorn Stein, returns Beckinsale as Selene, the stealth warrior who emerges from imprisonment to find a world where humanity has recognized the existence of vampires and werewolves, and now must join in the fight to eradicate both monster races from the planet. Original co-star Scott Speedman’s rumored to be returning as Michael Corvin. He’ll join Stephen Rea, Michael Ealy and India Eisley in a sequel that hits theaters on Jan. 20. That means audiences might be able to pull a Beckinsale double feature, as the actress also plays Mark Wahlberg’s wife in the action thriller Contraband, in theaters on Jan. 13. But you have to admire Beckinsale’s dedication to the Underworld series. She has appeared in three out of four of the franchise’s films since 2003. And even though her husband, Len Wiseman, has moved on from the director's chair (he still serves as a producer), she continues to prop up the series. Granted, she also appears in Wiseman’s other pictures, and will have a meaty role in his Total Recall remake next summer. But the Underworld series easily could have devolved into a direct-to-DVD series by now. Instead, it grows (Awakening will be presented in IMAX 3D) and, we hope, mature.